Uh, when did the definition of FREE change? Tonight I was lucky enough to get an MSDN subscription. Then I realized I get a free copy of the MSDN magazine, COOL! Until you read the fine print. I read about one hard decision Microsoft made this week, and I think they did the right thing! Sometimes you just have to ignore the naysayers! Have you tried to bounce a GREAT idea off of someone only to hear a "ooooohhhhh......yyyaaaa.......you can't do that." Read on about why sometimes you SHOULD just ignore them! When I bought my Apple iPod Touch, I vowed to learn as much about it as I possibly could. Before I brought it back, I learned a few cool tips'n'tricks I would like to share with you. Cheapest Cable Catcher you'll ever own! lifehacker today had a fantastic tip to manage any of your loose cables you have. Read on for this cool trick! 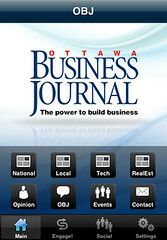 Does your company have an iPhone/WP7/BB app yet? In '95, CEOs thought having a web page was nuts! Maybe even silly. Today, would you take a company seriously without a webpage? In a few years, will the same will be said about mobile applications? Want to write your OWN Twitter client for WP7? It's easier than you think! Check this out, my first Twitter client for WP7! Read on for the details (and link to source code so you can try it out). Didn't get a chance to make it to MIX 2010? Well, you're in for some luck! Read on for the best overview you'll see on the web! Downloaded the "Visual Studio 2010 Express for Windows Phone CTP" but realized you've lost some keyboard shortcuts, menu items, overall usability? Read on for a cool tip! Tonight, I did a Windows Update and was kind of surprised to see a new optional Windows Update package. I think I found my first WP7 API bug? Yup, I think I found a bug in the way WP7 DateTime.Now function works. Read on for more details. Have you written a splash screen for your application before? Want to write one for your WP7 app? Read on for the FASTEST splash screen you'll EVER do! So you wanna do WP7 dev? What do you need to get started? You've heard some great things about Windows Phone 7 development and you want in?! Great! Read on to get the best info about the minimum you need to get your feet wet! Have you taken an Apple Survey recently? I did! First WP7 won't have cut'n'paste? Say it ain't so? I just read details about WP7 NOT having copy'n'paste functionality. Maybe it's not such a big deal after all? Tonight I thought I'd get a jump on things and register to become a WP7 developer. Read on for an interesting spin on things. MIX 2010 VIDS ONLINE!!!!! YAHOO!!!! AAAAHHHH-LLLLLLLRight!!!!!! MIX 2010 presentations online! Read on for the link. 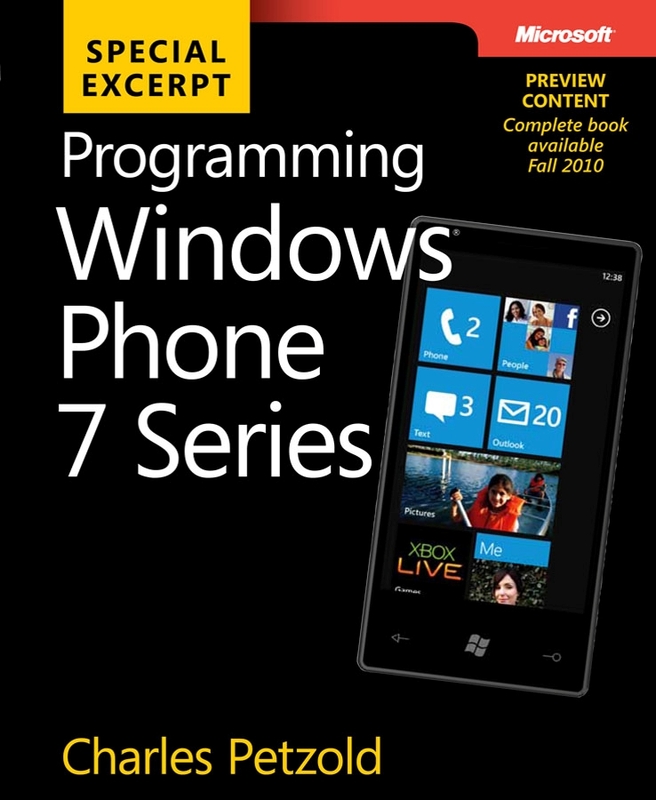 First Windows Phone 7 book announced today! Today marks the first time I've seen a Windows Phone 7 book announced! Very cool, read on for details. Microsoft makes a HUGE splash in the mobile market today at Mix 2010 in Vegas! And my first Hello World WP7 App! Today, Microsoft announced Windows Phone 7 development details at Mix 2010 in Vegas! Read on for more information and check out my first WP7 App! What's the first thing you need to do to make your app "light up on Windows 7?" SO! You're doing Windows 7 programming?! COOL! But what's the first thing you should look at to make your program LIGHT UP on Windows 7 and make it stand out? Read on for your first trick!